Keeping track of multiple email accounts can be difficult, but it doesn’t have to be. If you’re a Hotmail user, you might want to integrate all of your POP3 accounts into a single address for more efficient access. 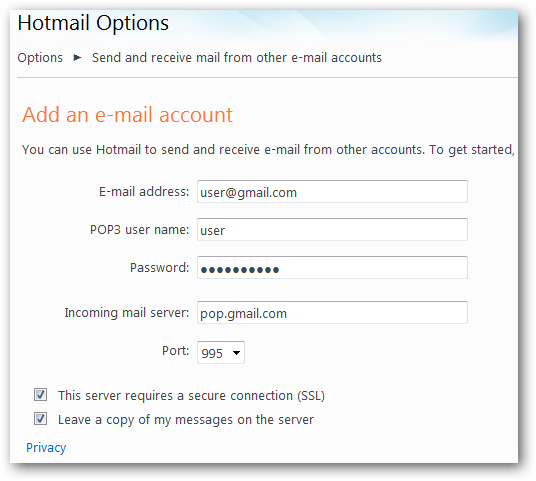 Hotmail can send and receive emails from any POP3 enabled account, and it even supports SSL for secure connections. Most email accounts from your internet service provider, work, or school will work directly in it. Make sure to have your other account info, as you may need it in advanced setup. For this demonstration we’ll walk through setting up a Gmail account, but this should work with your other POP3 accounts as well. Now enter in your email address and password for the account you want to add and click Next. 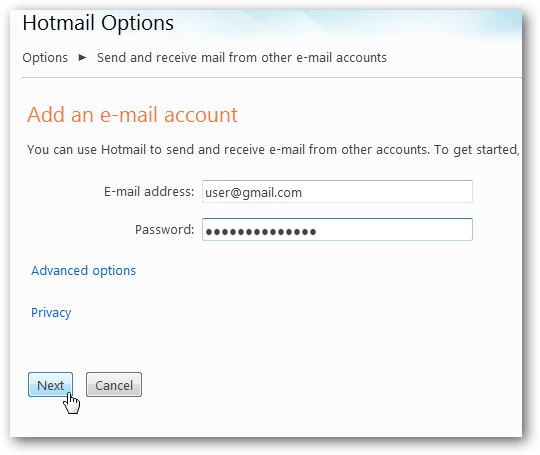 Hotmail will try to automatically detect the settings for the account. Most email accounts from popular services such as Gmail are detected automatically. 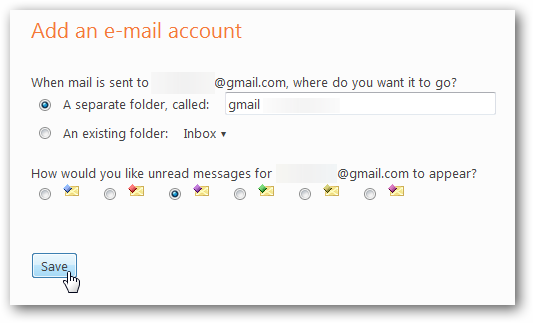 Note: Make sure that POP3 is enabled in your Gmail account. If it cannot automatically find the settings, it will present you an Advanced options page. Here you can enter your email and password, as well as your user name, incoming mail server, port number, and SSL options. 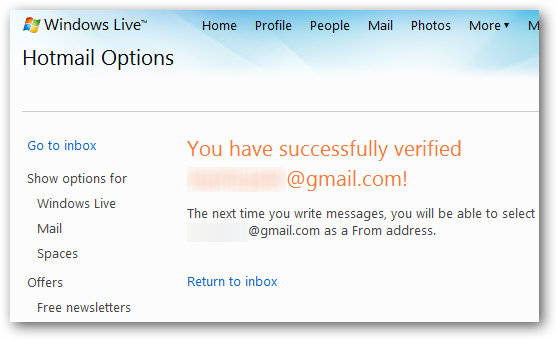 You can also choose whether or not to leave emails on that server when Hotmail downloads them. Make sure to leave this box checked if you want to still access your emails from the other account. If you aren’t sure what settings are required, check with your IT staff or ISP. Now, you can choose where your email from newly added account will go. 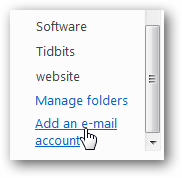 By default it will go into a new folder with that email account’s name, but you can choose to have it go to any folder including your inbox. Emails from this account will show a diamond on the corner, and you can choose which color of diamond you want as well. Click Save, and you’re almost done. Hotmail will send an email to make sure you really own the email address. Click the link in the email, and your account will be all setup. Hotmail will sync all of the emails from your account, and also automatically download any new emails you get. You can select any address as your “From” address next time you write an email. You can also make any of them your default “From” address. Enjoy, and don’t forget that you can add as many accounts as you need. 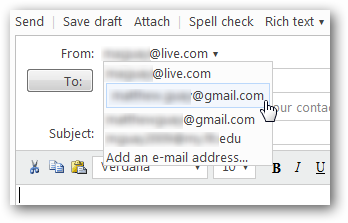 You can combine all of your addresses, and then easily manage them all from Hotmail.